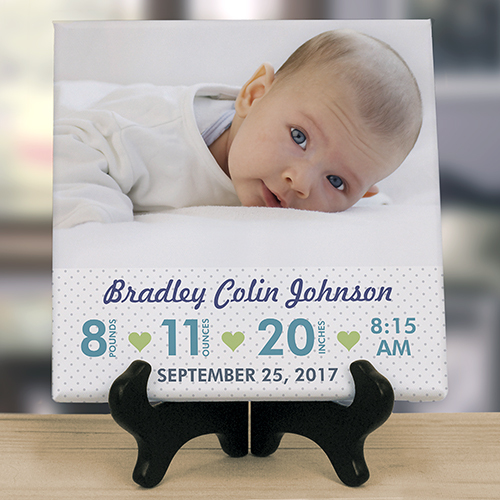 Create a wonderful photo keepsake for your baby with our Personalized Baby Photo 8x8 Tabletop Canvas. 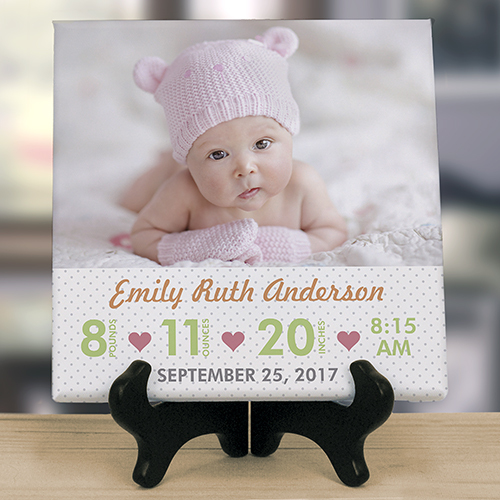 We will custom create one of these Personalized Baby Gifts for you with your choice of design color any photo, custom message line 1 (name shown), pounds, ounces, inches, time with choice of am or pm, and custom message line 2 (at bottom, date and birth place shown) to make a keepsake item you and baby will cherish for years to come. Give as a personalized baby gift for all those new little cuties in your life.